It’s cold outside, which can mean only one thing – it’s race time! Gather up your thermal underwear and neck warmers and start training today for the 33nd running of this Half Marathon, 10K, 5K and NEW Kids Fun Run on Saturday, January 27, 2018. Securian Financial Group embraces what Winter Carnival is all about – enjoying Saint Paul’s great outdoors, all year long. 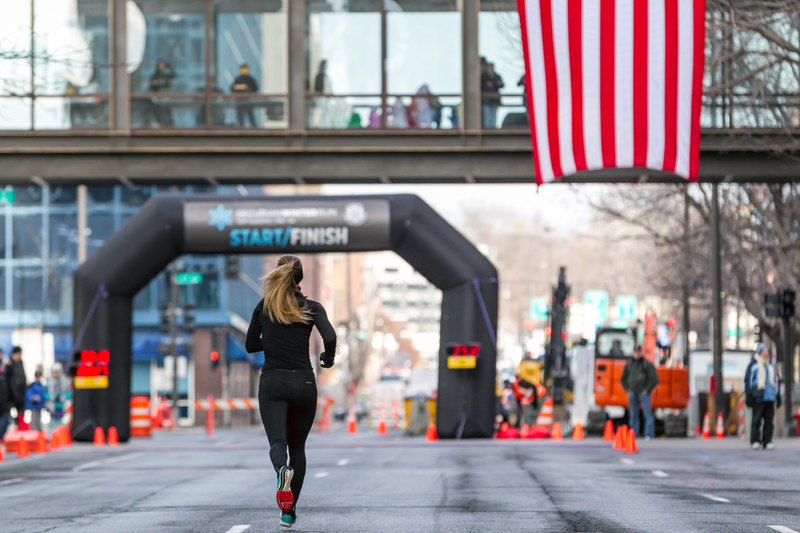 The Securian Winter Run features four races: the Half Marathon, 10K, 5K, and Kids Fun Run – each starting at Securian Center on the corner of Sixth and Jackson Streets. The starting gun for the Half Marathon will go off at 9 a.m., while the 5K, 10K and Kids races will begin just minutes later. Visit Securian Winter Run for race details and to register. All proceeds from this event benefit Saint Paul Festival and Heritage Foundation, proud producer of the Saint Paul Winter Carnival and Cinco de Mayo West Side Saint Paul.